In town, to the city or out in the country. You might be working on the land, getting on and off trains, buses or ferries, walking through the bush or planning to travel ............. You are invited to enjoy the high quality of our fabrics, excellent workmanship and affordability of our Aussie 3/4 Coat 100% Australian made in our own factory located at Slacks Creek, Brisbane, Australia. 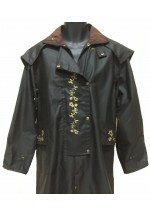 Features of our Aussie 3/4 Coat include: ► Made from excellent quality Oilskin or Durapel fabric (see tabs above All about our Oilskin and Durapel fabrics).. Specially for the ladies, choose your colour. If you would like a different embroidery colour, let us know what colour you want and we will make it specially for you. The front flap & pocket flaps have an oilskin or durapel backing to hide the back of the embroidery so you have a beautiful finish to your coat. You can see this in the photo because top of front flap is turned back. In town, to the city or out in the country. 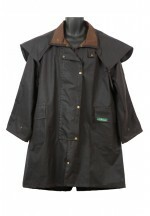 You might be working on the land, getting on and off trains, buses or ferries, walking through the bush or planning to travel ............. ..
Waterproof poncho for young teenagers and smaller adults. You are invited to enjoy the high quality of our fabrics, excellent workmanship and affordability of our Aussie Adult Poncho - small size, 100% Australian made in our own factory located at Slacks Creek, Brisbane, Australia. 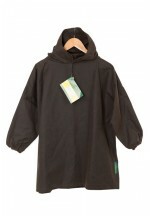 Features of our Aussie Adult Poncho - small size include: ► Made from excellent quality Oilskin, Durapel or waterproof polyester raincoat fabric (see tabs above All about our Oilskin and Durapel fabrics) ► Loose fitting..
No nonsense coat for wet or dry weather. 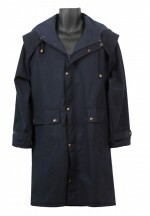 Made from unlined Oilskin, Durapel or PU backed polyester (quality raincoat fabric), this is the perfect coat for someone who wants a knee length coat, without all the “bells & whistles” that will keep out the cold winds as well as keep them dry. 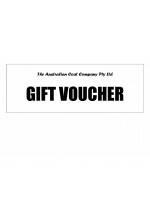 Perfect for camping, fishing, 4WD, walking the dog etc. 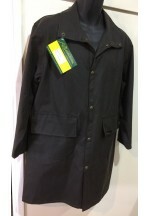 You are invited to enjoy the high quality of our fabrics, excellent workmanship and affordability of our Aussie Raincoat 100% Australian made in our own factory located at Slacks Creek, Brisbane, Australia. &nb..
All weather overcoat for all seasons. Whether you are getting to work, travelling on holidays or just going out for a day or night. You are invited to enjoy the high quality of our fabrics, excellent workmanship and affordability of our Claybourn Overcoat 100% Australian made since 1910 in our own factory located at Slacks Creek, Brisbane, Australia. Features of our Claybourn Overcoat include: ► Made from excellent quality Oilskin or Durapel fabric (see tabs above to learn All about our Oilskin and Durapel fabrics) ► ..
One of our favourites. This shorter length coat is the perfect all-rounder from city to country, work to camping, travelling to watching the footy. You are invited to enjoy the high quality of our fabrics, excellent workmanship and affordability of our Claybourn Short Coat, 100% Australian made since 1910 in our own factory located at Slacks Creek, Brisbane, Australia. 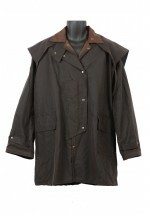 Features of our Claybourn Short Coat include: ► Made from excellent quality Oilskin or Durapel fabric (see tabs above to learn All about our Oilskin and Durapel fabrics) ..